As police chaplains, often our officers end up in hospitals. When this happens, the police chaplain is notified immediately. We are called to the hospital because our officers have requested us even though the hospital may have chaplain(s) as well. Thus the hospital chaplain and the police chaplain?s ministries overlap as we are called in to minister to the officer as well as his comrades, family, and friends. Our position is never to override the hospital chaplain. Rather we seek them out to work with them so that the officer and his family members receive the best spiritual care possible. This is accomplished when chaplains work together. I have had this experience, and upon doing a poster presentation at the 2014 conference, I learned many hospital chaplains have as well and were grateful for the collaboration. The hospital chaplain knows hospital protocol that the police chaplain needs, and the police chaplain has departmental protocol that hospital chaplain needs. Learn about police chaplaincy in and out of the hospital setting.. Receive information on the importance of collaboration of police and hospital chaplains in the hospital setting. Understand departmental protocol for wounded police officers in the hospital. Chaplain Faith Berthey is a native of New Orleans. 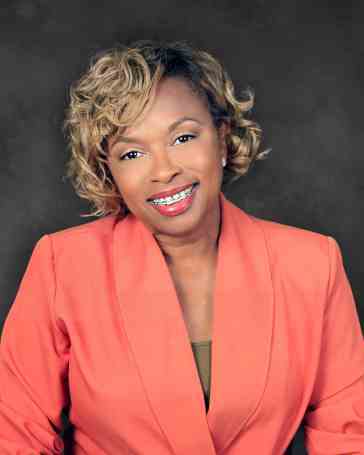 She has served as a Board-Certified Chaplain for 8 years. She is a graduate of Houston Baptist University, Loyola University New Orleans. Her television show ?Ten Cents of Wisdom? can be seen every Sunday Morning on New Orleans WHNO Channel 20 at 5:00AM.